Man. 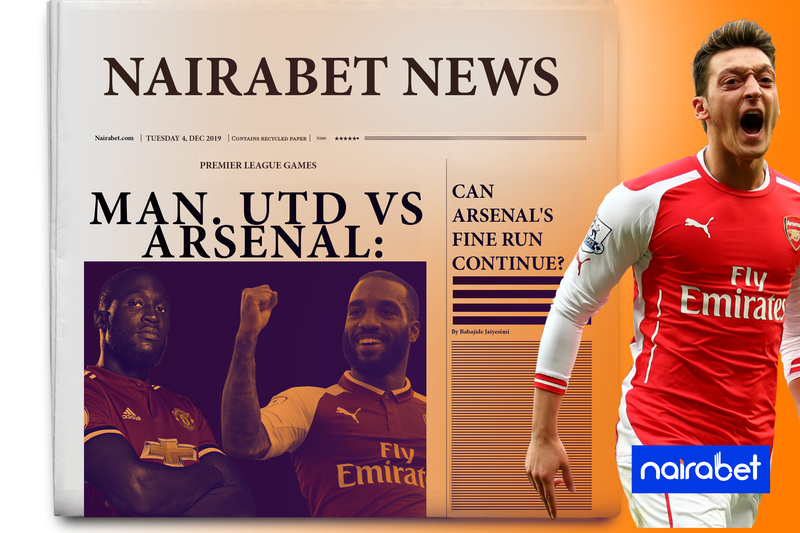 Utd v Arsenal: Can Arsenal’s Fine Run Continue? A quick glance at the top of the table sees Manchester City topping the standings. With the way they’ve been playing in recent times, it’s hard to see them leave that spot anytime soon. They’re arguably the best football team in the league at the moment. There’s no price for guessing which team is the second best in the league at the moment. Arsenal may be sitting in fourth place on the log but they’re playing like a team destined to win the league. It’s been a while since Arsenal and “unbeaten streak” appeared in the same context. After demolishing Tottenham, the Gunners now look more likely to finish in the top four than their next opponent, Manchester United. 8 points separate both sides on the log. Manchester United has been rocked by mixed fortunes this season. From the highs of a dying-minute winner over Young Boys, the Red Devils had to fight back to draw against 18th place Southampton. It has been more of an inconsistent run of form for Jose Mourinho, a stark contrast to the kind of season Unai Emery is having. And all these could come to play when both sides play each other in the Premier League MatchDay 15 clash. Can Arsenal defeat Manchester United? 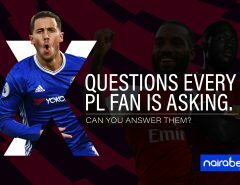 Another version of one of the most popular PL match-ups is set to be played on Wednesday. It used to be Jose Mourinho versus Arsene Wenger. But there’s a new manager at the helm of affairs in North London. Since their first 2 defeats to Chelsea and Manchester City, the Gunners have since gone 19 games unbeaten in all competitions (W15, D4). But despite their form, they’re no favorites to win this game according to the bookies. Arsenal to win has been priced at 3.00 odds. Click here to take advantage of this massive odds and win big. Yes, they will be playing at home. Yes, they haven’t lost to Arsenal at Old Trafford since 2015. But the Manchester United of these days can be pretty hard to predict. Jose Mourinho has been more critical of his players than ever before. Lukaku has not been clinical in front of goal. The last time Manchester United scored 3 in a game was two months ago – against Newcastle. It is how unpredictable they are that makes this game hard to call. Arsenal may go to Stretford End and get a win. United could park the bus, get a win and run away with 3 points. This game could also end in a draw. The last time this fixture ended in a 0-0 draw was in 2014. Do you think this one can end in a stalemate? Click here to make your predictions and back yourself. This is one game that could largely decide which team finishes in the top four. It can be described as a straight battle for a Champions League place. There’s a lot at stake. Which team do you think will win? Leave us your comments and share your thoughts with us.